Other circumstances, you mean like having a low life piece of crap for an owner that can’t afford to run the team properly. That’s the other circumstances that you mention? Or is it having an incompetent management staff that can’t evaluate real talent and keeps signing old guys past their primes? Didn’t want you to feel too loney here all by yourself, dodgerdawg. I certainly agree with your assessment of the incompetent and stinking ownership and management. Let’s see what kind of attendance impact the BOYCOTT can have this weekend. ** I meant “lonely” of course. Must have had James on my mind when I wrote the above. It’s amazing how well the pitchers dominate the hitters. What a contest. Sort of looked like the battle of the feeblest. 10 more wins and we avoid the monsterous 3 digit losses. If you are still up, come say hello to the ITD posters at http://outsidethedodgers.wordpress.com/2011/08/12/moody-blues-days-of-future-passed/ You are featured in this post. There is also a link to the ITD Tour photos from June 2009. Congrats to Nathan and Chris Reed!! Having the youngsters coming up soon isn’t because they are such excellent players as much as Ned has done a horrible job with off season moves & Conte just failing in all areas from diagnosing injuries, reading players physicals from potential free agents, and rehab treatments. I’m sure they are good players with tons of potential but they are being fast tracked due to the state of the big club. They are playing well thus far tonight and it’s nice to see them putting some pressure on the D by bunting and getting runners over and in. “The opposite of love is not hate, it’s indifference” – Elie Wiesel. Well, Josh how is it going to feel not only having the lowest quality ownership but also one of the lowest rated blog sites in MLB? I haven’t been around much, but not much has changed in my love for the blue! Is Frank still around or has he grown up and moved out? 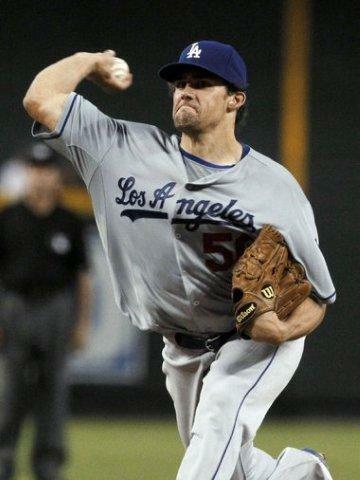 Anyhow…LET’S GO DODGERS, LET’S GO!! Hey D4. How’ve ya been? Good to see you. Most of the gang is over at this new site. I hope to see you there. I think you will enjoy it.